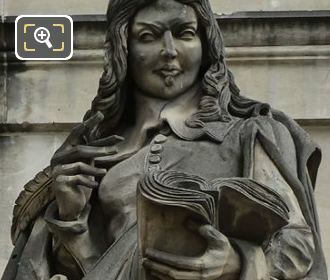 With these high definition photos you can see another statue on The Louvre, which was sculpted by Louis-Joseph Daumas to represent the 17th century historian Francois Eudes de Mezeray. 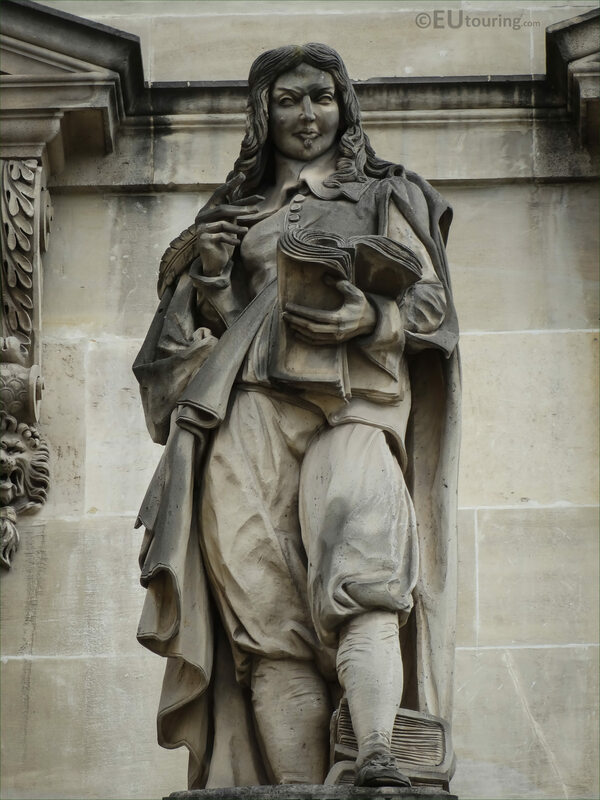 You will find this statue of Mezeray on the facade of the Aile en Retour Turgot located on the first level of statues between the windows, and it is situated third from the left as you are looking at the building from within the courtyard of the Musee du Louvre called the Cour Napoleon. 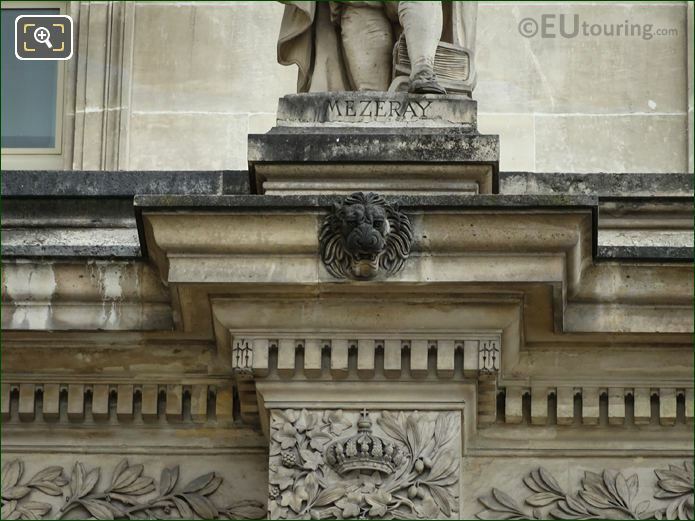 Now this close up HD photo of Mezeray was produced by the French medallist and sculptor Louis-Joseph Daumas, who was born in Toulon in 1801 and went to Paris to study, yet there is conflicting information as to exactly when this statue was executed, although it appears to be within the 1850s. 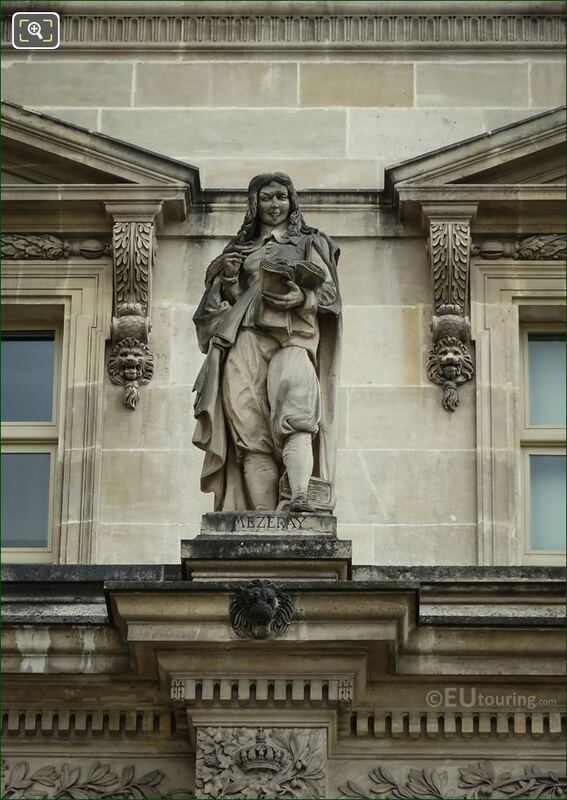 And in this last close up photograph we took, it shows the bottom plinth of the statue with the name inscribed on it, and Francois Eudes de Mezeray was born in 1610 in the north west of France and studied at the Caen University before finishing his studies at a college in Paris, eventually becoming a recognised historian, and being given the title of Historiographer to the King of France.